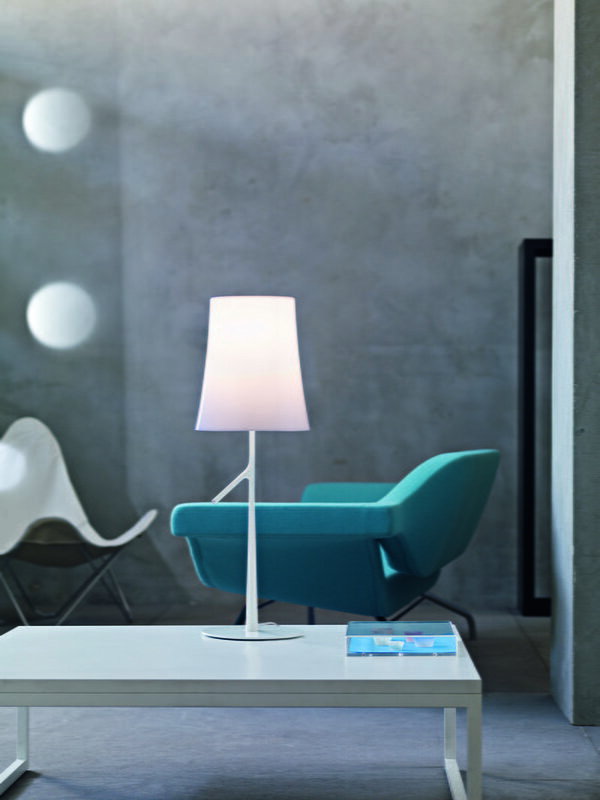 The lightweight and fun Birdie table lamp from Foscarini and designed in the year 2011 by Ludovica and Roberto Palomba. 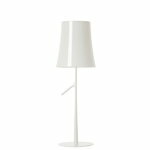 It is a perfect lamp beside an armchair or on the desk in a study. Birdie fits naturally to any room. This table lamp was inspired by the trunk of a tree. The Birdie table lamp is available in two different sizes. Ludovica and Roberto Palomba are architects who work and live in Milan. In 1994 they founded their own studio called Palomba Serafini Associati. Palomba Serafini Associati plans architecture, interior, exhibition and industrial design worldwide. Since 2003 Roberto Palomba has also worked as a part time industrial design lecture at the Milan Polytechnic. Ludovica and Roberto Palomba are also Art Directors for many leading brands. 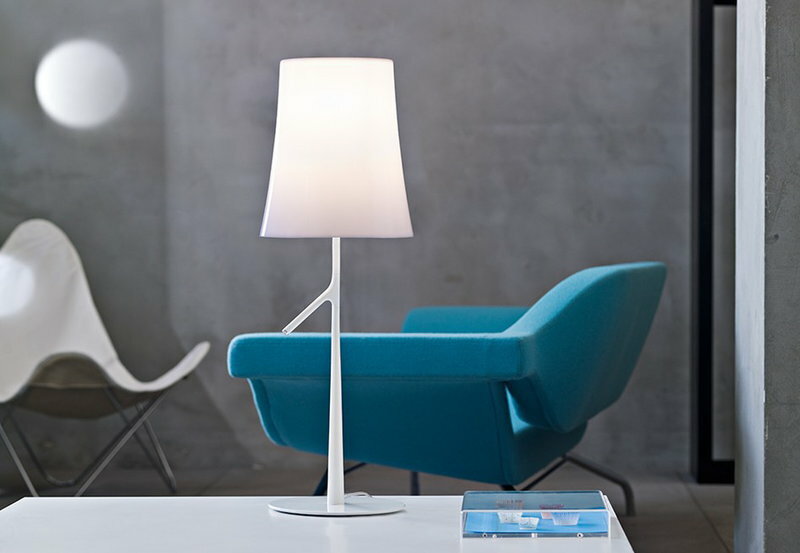 They have received numerous international awards like Compasso D'Oro, Elle Decoration International Design Award, Red Dot, Design Plus, Good Design Award and German Design Award.